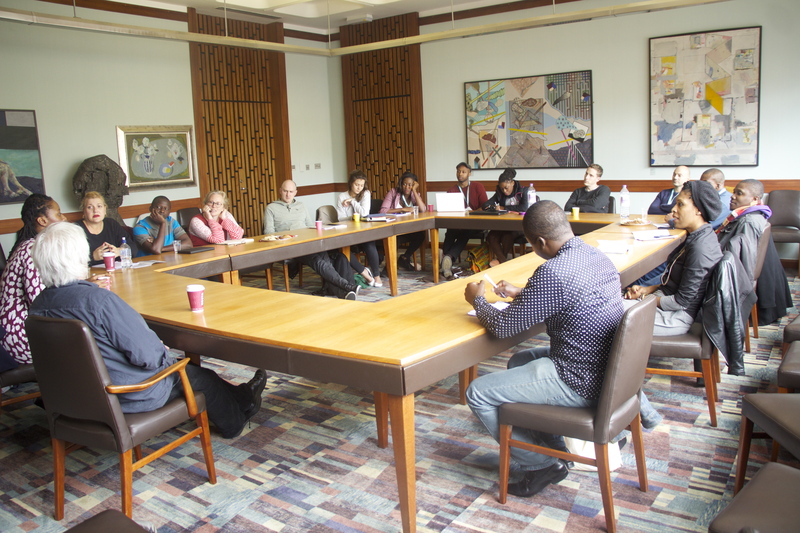 Nigerian screenwriter Pearl Osibu attended the new UK-Nigeria writing lab, Script Junction, at the Edinburgh International Film Festival. Pearl blogged day by day about her experience, from suffering through cold summer days to getting her story in great shape. Script Junction is a collaborative programme between the Nigerian and UK film industries to strengthen each other’s work, network, form useful alliances, develop our project ideas and generally ensure that through this symbiosis, better films are emerging from both countries. I cannot begin to describe my excitement when I received news that I was selected among the six Nigerian winners of what was described as a very tough competition where hundreds of entries came in. I have an ever-present insecurity when it comes to film/screenwriting because I have only been at it a year. Chances like these don’t come every day. After arriving, we immediately got the sense that Edinburgh is a beautifully dark, brooding city with so much history, culture and soul. We all convened at the hotel reception at 8:30 pm to have welcome drinks and meet everyone. By now everyone had arrived, so many faces to put to names from our tutors to the British Council organisers to all the other Nigerian and UK writers. So many smiles, so much laughter (was it the drinks?) and just a very convivial two hours went by before we started to take off one after the other, after collecting our festival bags, which not only contained all the festival paraphernalia, but lots of goodies to munch on. The cold. Oh, the cold. We all huddled into our warm clothes and wondered again what exactly the UK means by summer, as we walked from our hotel to the Edinburgh College of Art for our first workshop day. But hey, they are some brave people walking around in shorts and tank tops. Not us. I still didn’t know what to expect, I mean what ‘workshop’ meant in this context. I had asked [fellow Nigerian participant] C.J. 'Fiery' Obasi on the plane, ‘So what’ll we be doing at the workshop, do you know?’ And he replied with a sharp ‘oh, you are only just thinking about that?’ So I crawled back into my shell to await events unfold. So yes, we were told what to expect in line with workshops first by Wendy Mitchell of the British Council and a few words from tutor Lorianne Hall, whose main interest is the marketability of our projects, I mean it’s great to make a deep, brilliant film but wouldn’t it be nice if people went out and paid money to watch it haha. Then our course leader Rob Ritchie, screenwriter, and former head of the screenwriting department at the UK’s National Film and Television School, had a few words for us further on what we’d be doing and it quickly became clear that Rob would look very serious right now and then say the funniest thing in the very next instant with a wicked gleam. I think this made us all relax. He invited us to pitch our stories. Rob encouraged us to be honest about what stage our project was in: almost finished or 'Hey, I just thought of it last night.' I smiled a lot and said a lot of nonsense. Which is why I am here, I can’t speak for the others, but to throw my nonsense out there and have it beaten into shape. The way this works, we pitch our story, everyone asks questions, makes comments, helps to clarify or be clarified, makes suggestions, contributes in any way they can to any aspects of the project. But we were just hearing each other’s projects for the first time so it wasn’t really in-depth yet. The beautiful thing about this is as you talk about your project, the better you know it, which I think is the main point of this workshop. The more you talk about your story, as you listen to yourself and perhaps cringe or glow depending on what you are hearing, as you answer the questions thrown at you, you see the strengths, the weaknesses and what needs doing. We split up into groups of four writers with one tutor. Our assigned tutor for the day was Rob. We again pitched our stories. We then reconvened and got to screen Shola Amoo’s short film, Touch. There was general discussion and Shola handled the hotseat like a pro. 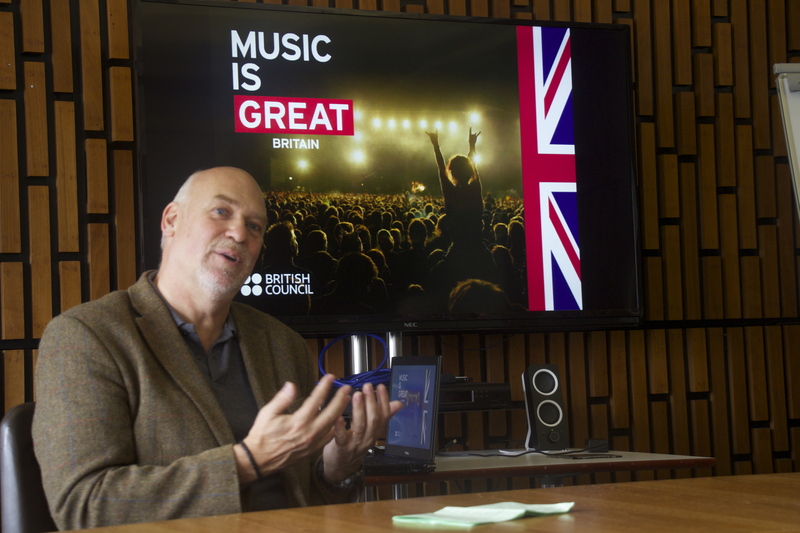 After lunch, Mark Adams, the Artistic Director of the Edinburgh International Film Festival (EIFF), came to chat with us for a few minutes about the festival and film business in general terms. Then Nik Powell, Director of the NFTS and also a film producer, came for a whirlwind hour or so. He insisted he wanted to talk to us not about script but about story! But first he would begin with his favourite subject, himself (his words, LOL). He proceeded to take us on a tour on his professional life from being a distributor (Evil Dead, When Harry Met Sally) to production (The Crying Game, Mona Lisa, Ladies in Lavender) and now the director of the NFTS. He described the three-act structure in this way 1) get him/her up a tree 2) throw stones at them 3) bring them down again. Please can anyone tell me how a person can fail to remember this very simple but profound illustration? When in doubt, have someone come in the door with a gun. Next, we went dancing at the EIFF Ceilidh at the Assembly Rooms. Dress Code: Kilts or Casual. Too much fun and yes, I learned at least one very vigorous Scottish dance. Somehow, my Naija friends and I managed to form a circle of our own and show off Naija dancehall steps like Azonto, alanta, etighi, and then native dances like abang, ekombi, atilogwo etc. Hilarious. Our tutor for the day was Ishaku Dashon, Naija born and raised, a graduate of the National Film Institute in Jos, where he now lectures. To his credit are dozens of documentaries, feature films and commercials. Ishaku is quiet, very but he’s always got a ready smile and there’s something about him that makes you comfortable. However, since I am intuitive, I know there is beneath the thin veneer an iron will. Don’t ask me how I know. Oh, Ishaku says I should be a producer, insists I will make a great one. I say, mmmm. Noncommittal like that. Anyway, we went over our pitches again. You already know the drill. Talk. Listen to your story. Realise where it’s strong, where it’s weak, where it’s ridiculous, admit where you need help etc. Cut, nip, trim, fill, tuck, tighten. It was looking good. Coming in for a talk in the afternoon was Chika Anadu, London-based, award-winning Nigerian writer/director of the movie B For Boy. Chika talked about her journey so far, her experiences in film ranging from Nigeria to the UK to the US and a lot of background. Chika who’s just so beautiful and a bit intimidating and clearly driven, with a no-nonsense attitude oozing out of every pore. Not to mention honest and clear about what she wants. When it was over, there was an honest to goodness jostle to take selfies with Chika and no wonder! This was potentially the most exciting day as far as visiting a strange new city is concerned because the workshop was only going to be a half day with the afternoon free for us to do what we wanted – explore, see and be seen, watch movies, shop, visit, whatever. First we heard from producer Pippa Cross of CrossDay and Professor Noe Mendelle from the Scottish Documentary Institute. And ate a lot of pizza, and chicken and chips. Then we set out to explore the city a bit. Or at least that was kind of the plan. But we managed to walk to Princes Street and spent most of the afternoon shopping with C.J. reminding us that we were supposed to be exploring, not shopping. Oh and we took loads of pictures. This Nigerian guy who lives in Edinburgh tracked us down and asked excitedly, ‘Are you the Nigerians? I heard you guys are town.’ LOL. His excitement was infectious. He also informed us that everyone was talking about us because… you guessed it, we made our presence known. After dinner, we went to a Mexican party. Party is a strange term for that gathering because as far as I could tell, the music was subdued, there was no dancing that I could see and imagined perhaps things would pick up later. The drinking did and I had my first ever Tequila but as far as I know, the party remained… un-partylike. Of course, we could not resist the urge to promise them yet again that when they come to Naija in November (for the second session of the Script Junction workshops), we’d show ‘em how it’s done. The final day of workshops. We approached this day with equal parts foreboding and excitement. Foreboding because it was the end of this first phase of the journey/Script Junction programme and we knew we were going to miss each other a whole damn lot. What helped was the fact that we knew that come November, we’d all be together again at AFRIFF so it was just a short parting. But exciting because we had pretty much soaked in as much of the city as we could in the short span of time and I hope I speak for all of us when I say our stories were looking good. So were eager to return to our lives and actually begin work. Because truth is however ‘complete’ our project seemed when we arrived, it would have undergone many changes, sometimes paradigm shifts in the course of the last few days. We discussed deadlines. Submission of the first drafts of our scripts were pegged for early October (hear that people?). We were invited to re-pitch our modified projects, focusing on what had changed. As I reported, I came with a premise and was leaving with a story, complete with scenes and anecdotes and, damn, my colleagues had near-all done my work for me and I was just over the moon. I know we all benefitted but I speak for myself when I say I must’ve benefitted the most, because my skeleton had blood and flesh and sinews and nerves. A tweak here and there, put in a heart and it’d start beating immediately. Yes, I was lucky. Yes, I was grateful. Yes, I was leaving much much more knowledgeable, about my project in particular, and the film industry and filmmaking in general. I had met some amazing people.